Living in the Southwest, there are two words that have, increasingly, become part of our everyday language — water conservation. The reality is that we live in the desert, and water has become a more precious resource than ever. That said, what can you do about it? There is a wide variety of actions we can take to reduce our water consumption personally — and professionally. Here are a few tips that you can use to help protect our water supply, as well as be kind to the Earth. Turn off the water while you brush your teeth and save up to four gallons a minute. That’s up to 200 gallons a week for a family of four. If your toilet was installed before 1992, consider purchasing a WaterSense®-labeled toilet can reduce the amount of water used for each flush. You may also consider buying a dual-flush toilet. It has two flush options: a half-flush for liquid waste and a full-flush for solid waste. Turn off the water while washing your hair to conserve up to 150 gallons a month. One drip every second adds up to five gallons per day! Check faucets and showerheads for leaks. Run your washer and dishwasher only when they are full. You can save up to 1,000 gallons a month. When doing laundry, match the water level to the size of the load. Also, washing dark clothes in cold water saves water and energy, as well as helps your clothes retain their color. 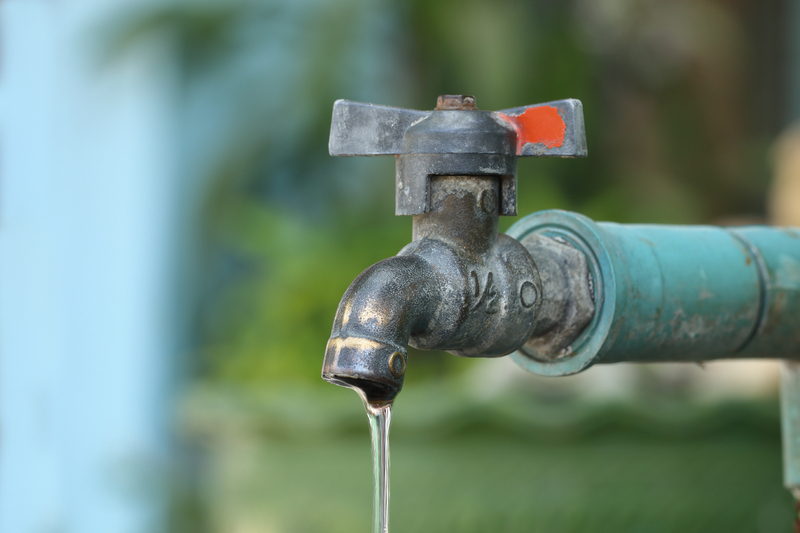 Have a plumber re-route your greywater to trees and plants rather than the sewer line. Check with your city and county for codes. Adjust your lawn mower to the height of 1.5 to 2 inches. Taller grass shades roots and holds soil moisture better than short grass. When the kids want to cool off, use the sprinkler in an area where your lawn needs it most. Start a compost pile. Using compost in your garden or flower beds not only provides nutrients to you plants but it adds water-holding, organic matter to the soil. Leave lawn clippings on your grass, as this cools the ground and retains moisture. Let your lawn go dormant (brown) during the winter. Dormant grass only needs to be watered every three to four weeks. Group plants with the same watering needs together to avoid over-watering, some while under-watering others. Choose the right drought-friendly plants and watch them thrive in our desert environment. Don’t overfill your pool. Lower water levels will reduce water loss due to splashing. Use a broom instead of a hose to clean patios, sidewalks and driveways — and save water every time. Incorporate Envirosolutions™ Envirowash™ System to safely and effectively dispose of paint wash water, as well as other job-cleanup demands. Learn more here. Learn about graywater and how onsite wastewater systems can significantly reduce water consumption. Find out more here. Contact your water utility to see if rebates are available for purchasing water-efficient fixtures and equipment. Forego those plastic water bottles to lower your carbon footprint. When cleaning sidewalks or prepping exterior surfaces for painting, remember that a hose and nozzle use eight to 12 gallons of water per minute, while a pressure washer uses closer to three gallons. Wash company vehicles at commercial car washes that recycle water. When on the job, keep a look out for broken pipes, leaky hydrants and poorly working sprinklers. If found, report the issue to the property owner or your local water provider. Promote your water-saving initiatives! Let current and potential clients know that you are an earth-conservation partner by sharing your efforts and providing water-saving tips on your website, social media and other promotional material. Here at Dunn-Edwards, we have always been committed to the principles of eco-efficiency. We define “eco-efficiency” as the ability to satisfy human needs in ways that minimize adverse impacts on energy and material resources, environmental quality and human health and safety. For us, eco-efficiency means “do more good,” by optimizing the performance of our paint products, and “do less harm,” by reducing or avoiding the use of harmful ingredients. Other green principles, as reflected throughout our operations, include resource conservation, energy efficiency, waste minimization, recycling, emissions reduction, health and safety protection, and social responsibility. An example of our continuing green initiatives includes our new Phoenix factory, which incorporates innovative equipment and protocols such as high-efficiency process equipment with integrated dust-suppression technology so that no particulates are emitted to ambient air, as well as advanced wastewater recycling techniques to conserve water. Our Earth, and its natural resources, are precious. As we continue to help protect them, we encourage you to consider implementing some of the best practices to conserve our precious water supply today — and for future generations. If you’re interested in finding other ways to save water at home or at work, visit http://wateruseitwisely.com/100-ways-to-conserve/?view=list#.